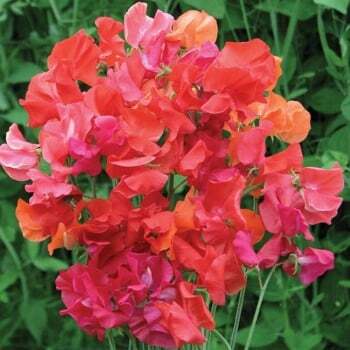 These Mr. Fothergill's Sweet Pea Summer Sizzler seeds from Ruddick Garden Gifts have a blended mixture of glowing hot colours. These hardy annuals are perfect for bright, summer screening and have a wonderful fragrance. Ideal for cut flowers. Average of 25 seeds per pack.